Add dramatic elegance to your day in the Bexley beaded lace tulle wedding dress with it’s fit and flare design style encrusted with crystals. 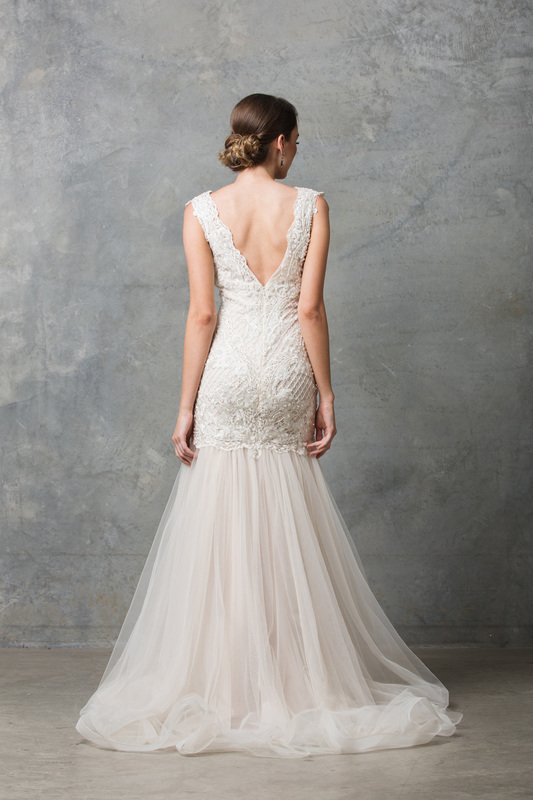 Adorn your self in the Bexley beaded lace tulle wedding dress, featuring a delicately beaded elongated bodice. Wide shoulder straps with a v plunge neckline over a soft layered tulle skirt. Soft and romantic in a creamy ivory this beautiful bridal dress is worn over its separate bias cut slip.